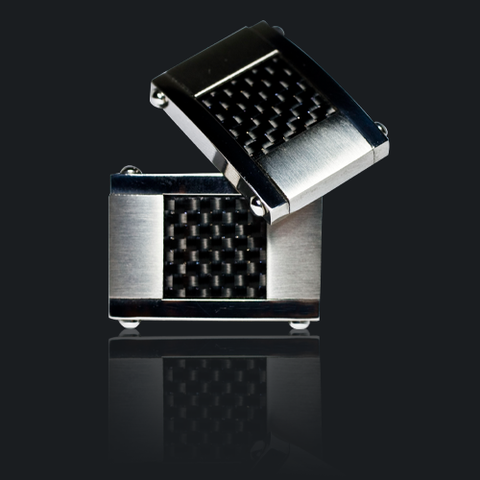 Mens Metals have the perfect pair of titanium carbon fiber cufflinks to jazz up your suit. Made from lightweight titanium, these cufflinks use a mixture of polished and brushed surfaces to elevate the carbon fiber quality. Not to mention they’ll make you stand out from the crowd. Get your pair online from Mens Metals web store. This entry was posted in Cufflinks and tagged Mens Metals. Bookmark the permalink.